We have produced a companion to our book, Lean Machines for World-Class Manufacturing and Maintenance by Robert M. Williamson. 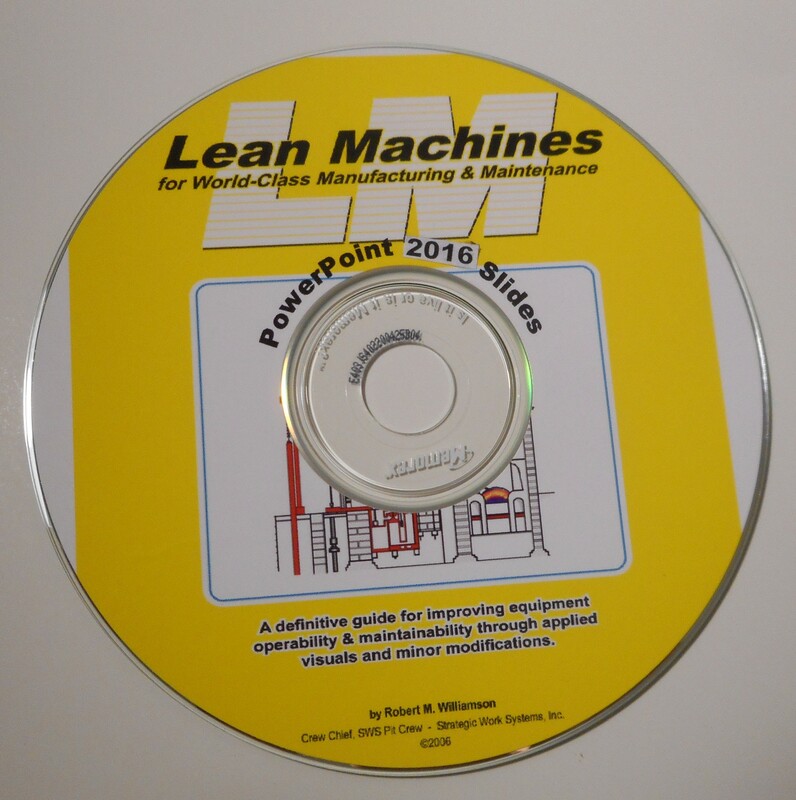 This presentation is an easy-to-use PowerPoint CD-ROM, also available on flash drive, with more than 100 slides that have been used and continually updated by author Robert M. Williamson for more than 20 years in his in-plant workshops and seminars. With this presentation, other facilitators now have access to the many different full-color examples of visual systems as applied in actual industrial settings. Handout materials and facilitator’s notes can also be printed from the CD-ROM for your classroom use.